Dawson, Pennsylvania, 1902, drawn and published by T. M. Fowler. 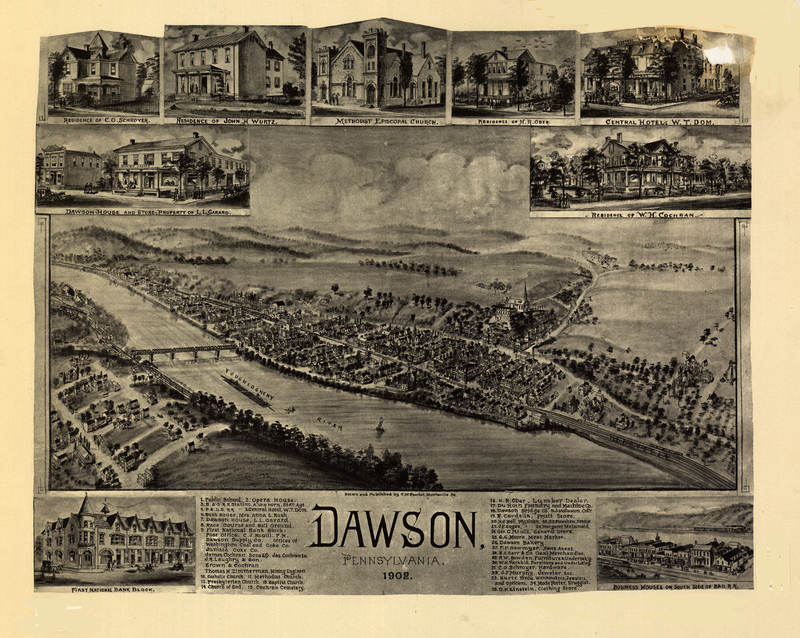 Birds eye view of the town of Dawson, with numbered identification legend which includes the following: 8. Race Course and Ball Ground 9. In the First National Block: Dawson Supply Co., Offices of Washington Coal and Coke, Juniata Coke Co. 16. H.R. Ober Lumber 17. DuRoth Foundry and Machine 18. Dawson Bridge Co.